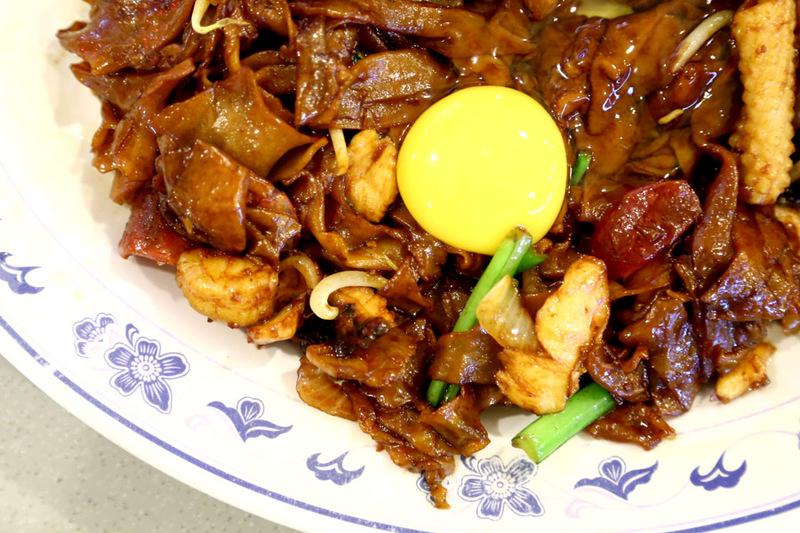 I would consider Keng Eng Kee at Bukit Merah View one of Singapore’s best zhi char restaurants – some original signature items, dishes with wok hei, and actually good service with no (or few) grumpy aunties. 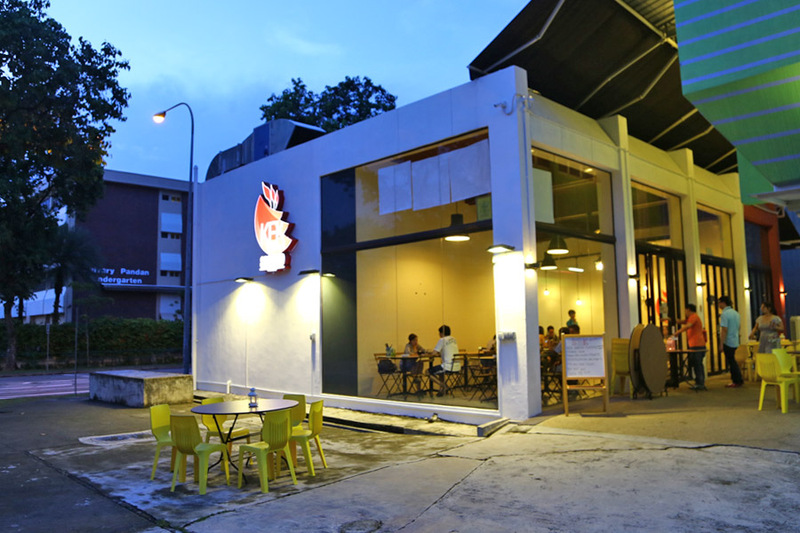 Chef Wayne of Keng Eng Kee is giving it a modern touch with its new outlet at Pandan Gardens (ulu for many, I know). A shortened snappy name using the acronym of KEK, progressive Zi Char fare, of familiar local favourites given a twist. 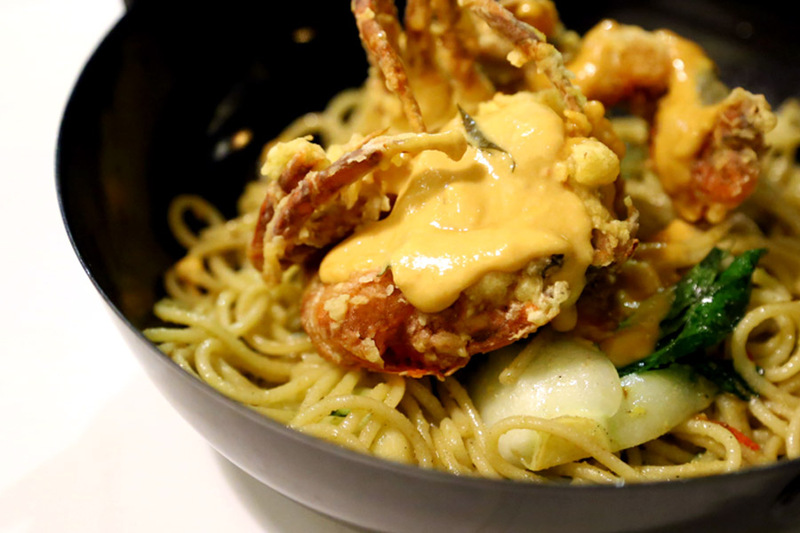 KEK calls it Mod ‘C’, which represents Modern Cze Char, and you get fares such as Chilli Soft Shell Crab Spaghetti ($15), Prawn Paste Chicken Spaghetti ($10), Lala Spaghetti ($10), Mango Prawn Fritters ($4 per piece) and Prawn Toasts ($8/$16). No Mingzhu Roll though. 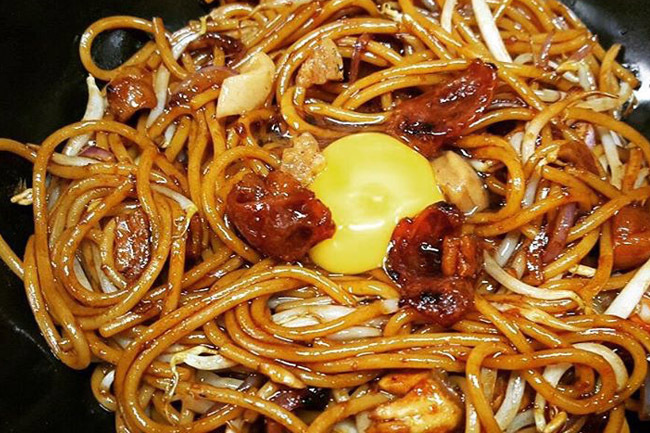 #alamak (at least they are trying to keep both branches different), but the signature Moonlight Horfun with that bright yellow raw egg yolk is still available, along with a ‘Western’ version of Moonlight Spaghetti with pork lard and Chinese sausage. Unlike the usual pasta cooking method, the spaghetti here is wok-fried for more ‘wok-hei’, that means more of that distinct Asian-style flavour and heat. 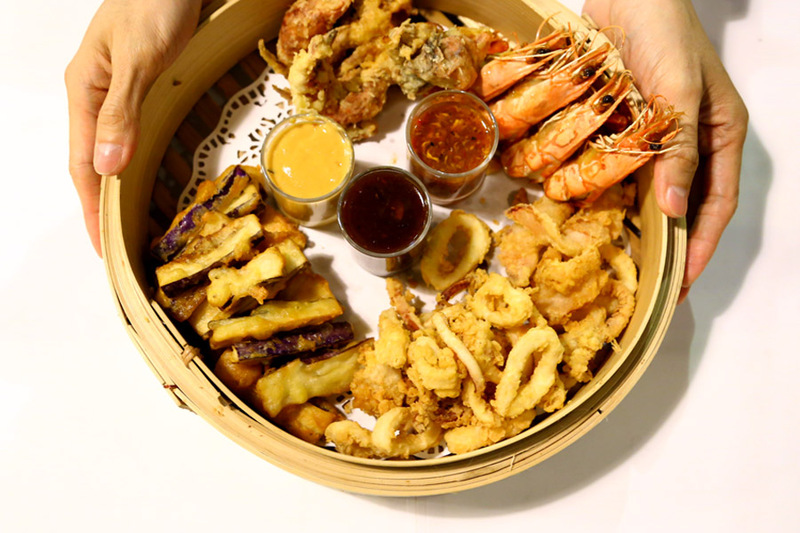 A highlight dish is a Seafood Platter and The National Dips ($28, meant for 4 pax), co-created with Makansutra’s KF Seetoh during the 2015 World Street Food Congress. 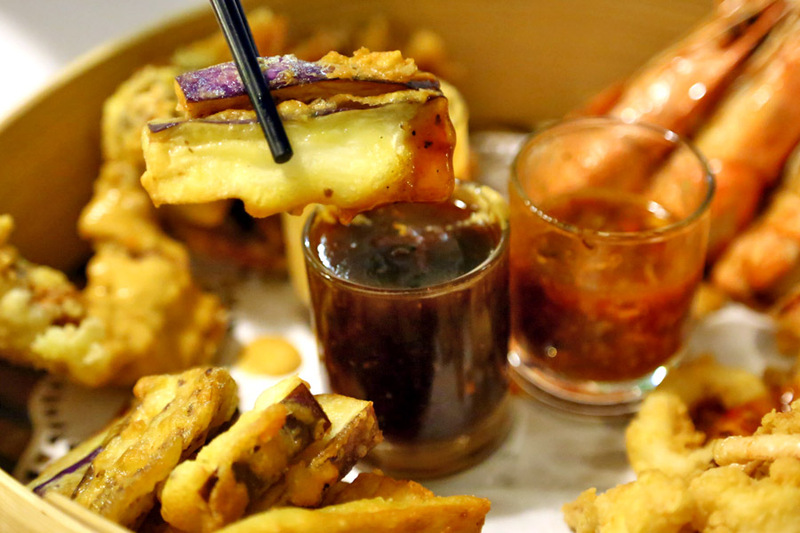 In a platter with prawns, fried calamari and fried brinjal, the accompanying dips are supposedly ‘national sauces’ – which includes chilli crab, salted egg yolk and black pepper. 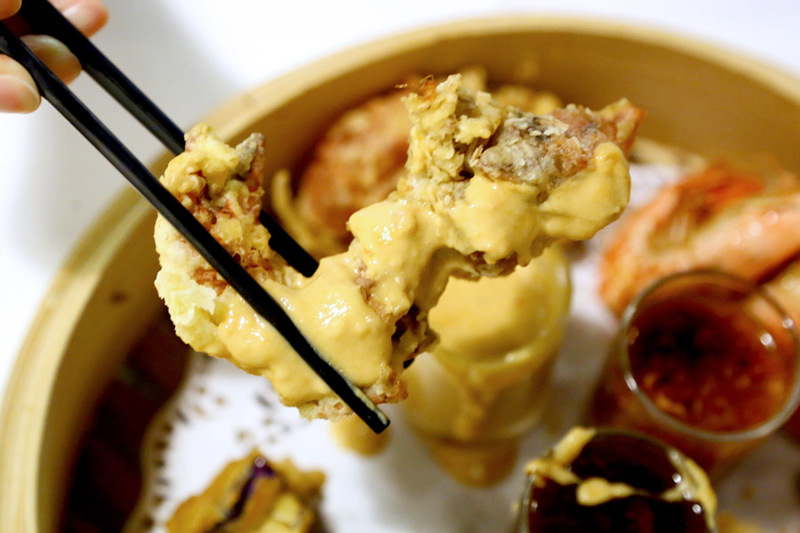 The black pepper sauce was somehow the weakest (tasted too generic, like it was out of a packed bottle), while salted egg yolk remained the table’s favourite. My humble suggest is that a laksa or satay sauce would have been more representative. 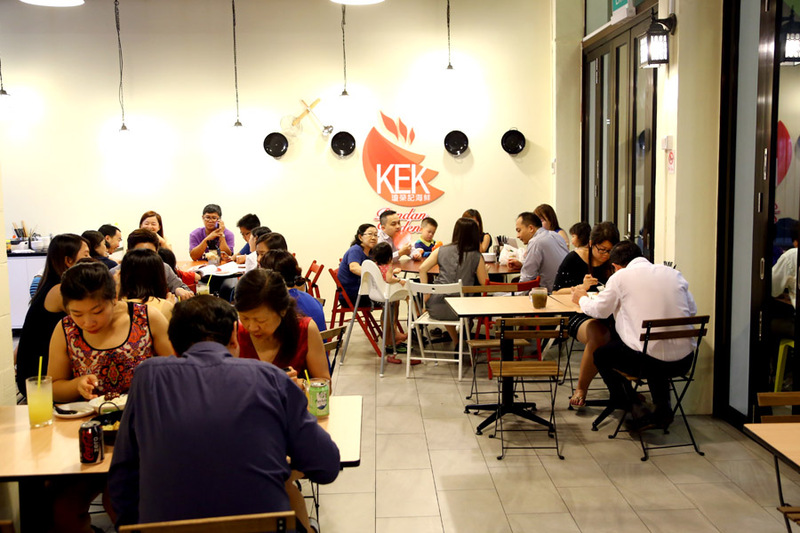 Keng Eng Kee next to Alexandra Village seems to offer more hearty fare, while KEK at Pandan Gardens is now trying to balance at mid-point – some favourites, some more ‘test-market’. I see this as a positive move. 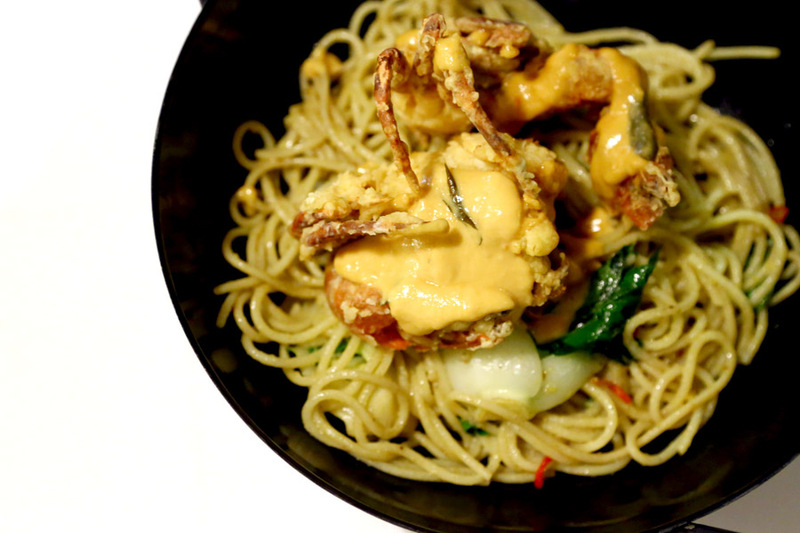 In Bangkok, Tom Yum pasta and the likes are common finds, even in many more upscale cafes. It is time we bring local flavours on a different level, some may not work, but at least somebody tried.